The Google Search Console, formerly known as Google Webmaster Tools, is a free Internet marketing tool from Google that monitors your website and will alert you if it finds anything that might adversely impact your visibility and rankings at Google. If you care about your visibility and findability at Google, and you should, you want to use it. 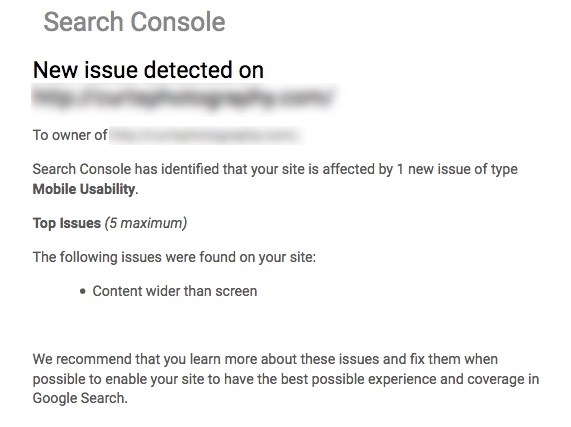 Register to use the Google Search Console with your website. You should also be using Google Analytics. Both are very important Internet marketing tools that are free and that will give you tremendous insight into your website, how people are finding it, and most importantly, how Google sees it.